MinxZone is a three-man band playing happy, catchy pop with a lot of focus on the lyrics, and they are often seen in matching playful costumes. The band has long been playing on the streets in the areas around Shibuya in Tokyo, and although they have gained in popularity the last few years, they still happily continue with their street concerts. After having played in Australia, Canada and now recently Sweden, this little band of street performers seem to have their sight set on a more international audience. 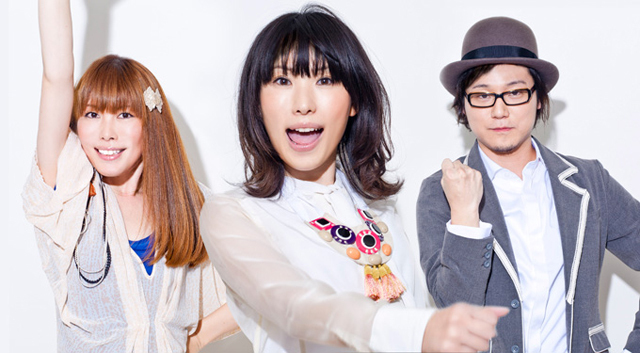 MinxZone was formed in Osaka in 1999 by three friends at a music school: singer Yukari, guitarist Waio and drummer Ayuha. However, it wasn’t until 2002, when the band moved to Tokyo, that their activity took off for real. Then, like now, much of the band’s activity consisted of street performances. Just about every day with nice weather saw them playing for passers-by in Shinjuku, Yoyogi and Shibuya. It wasn’t until 2006 that they first held a concert in a hall, the hall in question being Roppongi morph-tokyo, where they held two headline concerts in May and August respectively. In October the same year, their first single meet you was released, and the 1000 copies sold out despite only being distributed by the band themselves. In 2007 the band’s popularity had grown, which manifested itself in the fact that another concert at Roppongi morph-tokyo sold out completely. In August, meet you was re-released in a digital version through music.jp, and in the following months two more songs, Antenna and Vinyl gasa (sorezore no ame nochi hare) were released in digital form. The first appearance abroad for MinxZone happened more or less due to chance, since a representative for the Australian department store chain “David Jones” happened to hear the band, and promptly decided he wanted to use their music in a commercial. This way, Vinyl gasa ended up in an Australian TV commercial, and the band got the opportunity to play in Melbourne in the summer of 2008. The same summer, their first mini-album New Age Drive was released, also in a digital version. The following year the band was invited to play at Anime evolution in Vancouver, Canada on June 12th-14th, and they thereby made their first appearance on the North American continent. In July they played as opening act for Do As Infinity in Japan. At around this time, MinxZone was discovered by the record company Avex Entertainment and through them a new series of digital singles were released in 2010; Kokokara on January 20th, Sunao on February 10th and Ja on March 10th. All of them were available through iTunes as well as other Japanese download websites. Besides the single releases, 2010 started out as a busy year for the band, since the spring tour Minx wa shi ga ii’n desu tour 2010 contained no less than a hundred concerts throughout Japan. In this tour, a visit to the Swedish Japanese culture event UppCon on April 9th and 10th was included, which also became the band’s first concerts on European soil. After having played on four continents and having been picked up by a major label, MinxZone’s future looks nothing but bright, and we will surely see more of this band in the future.